Christmas markets are just as they sound — markets celebrating Christmas. They run in dozens of European cities every year from around late November until early January. There’s something so beautiful and magical about them that is hard to describe in writing, but I definitely understand why they were so popular. If you are considering a weekend away this Christmas to a European city there’s still time to experience a Christmas market — here are some tips. I researched plenty of ‘Top 10 European Christmas Markets’ lists before booking my first trip, and in every list I found, many of the best markets were always in Germany. If you’re not sure which city to pick for your first markets trip, you can’t go wrong with Germany. They do Christmas markets really well. This year the markets kick off in around seven weeks time and there’s still plenty of time to organise a trip. But if you are looking at next year, especially to a major city, especially for a weekend, I would recommend booking as early as possible. I’ve been monitoring flights each year and they do not get any cheaper the closer to the date. Last minute flights to major cities can be really expensive in December. Ideally book your flights at least three month in advance, or aim for a cheaper, lesser known city like I’ll discuss below. I’ve also found flights earlier in the season (i.e. the first 10 days of December) to be cheaper than the week either side of Christmas. Well known, established destinations like Vienna, Munich and Prague have fantastic Christmas markets. 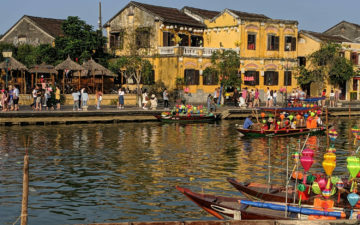 But these are also wonderful destinations in warmer months of the year, and you may have already visited these cities, or wish to do so when it is warmer so you can do more outdoor activities. So consider visiting a smaller, lesser known city like Nuremberg, Germany or Strasbourg, France. Depending on where you are flying from it may be much cheaper than flying to a larger city and your accommodation may also be cheaper (Cologne was certainly not cheap when I visited). This may be obvious, but especially during the day, just like Oktoberfest in Munich, the weekdays are much quieter than weekends while locals are at work. There were never long queues anywhere I’ve been but if you want to ensure you can get a seat to eat a meal you may want to visit on a weekday rather than a weekend. Oh and the markets are definitely better at night than during the day. Remember it will get dark quite early at that time of year, so you could potentially explore the city during the day and then head into a Christmas market at say 4pm as it is getting dark. When I visited my first Christmas market in Cologne I was very concerned about locating the right place that I had researched. But as we started to walk through the city we noticed there were several Christmas markets we would walk past. While the biggest market did have a spectacular backdrop with a giant cathedral in the background, the markets themselves all had similar food, drink and decorations. So the experience will be largely similar. You could even do a ‘market crawl’ where you could go from one market to the next over one day. The biggest market in each city will often have a large ice skating rink which is fun to do even if you have never ice skated before, and seems like a great idea after a few glühweins (see below). While I love visiting proper European Christmas markets, you don’t need to go every day for a week — you will likely get bored doing the same thing everyday and you will get cold spending so much time outside during winter. I would ideally recommend allowing two (full) days for a Christmas markets trip whether it is weekdays or a weekend. Along with beer, the most popular beverage to drink at Christmas markets is glühwein, which is a spiced mulled wine, served hot. It’s wonderful to warm you up whilst you are wandering through the cold Christmas markets, and it’s traditionally served in beautiful festive mugs that are unique to the city you are visiting. Just be careful not to spill it on your clothes though – its sweetness makes it very sticky and difficult to clean off. I never thought I would say this but the colder the market is the better the experience. This is because if there is snow it just makes it even more magical. I would go as far as purposely picking cities with a greater chance of snow in December. Sure you will get cold standing around outside for hours on end in December whether it is snowing or not (most of the markets are outside), but rug up and enjoy the atmosphere — the locals will all get into it and many markets will feature brass bands and choirs singing Christmas carols that you can sing along to. And this will warm you up. And just on the carols, I didn’t find the markets to be a very religious event. I know many of you will not observe Christmas and while they are called Christmas markets and may play ‘Christmas carols,’ it’s far more about spending time with loved ones and celebrating the holiday season with food, drinks and laughter, than recognising the traditional meaning of Christmas. I don’t like long cold winters but I love Christmas markets and I’m really looking forward to this year’s. As someone who has not lived most of their life in a cold climate it’s wonderful to get into the Christmas spirit with snow, mulled wine and festive cheer, especially in a town square of a beautiful old European city steeped in history. Have you visited a European Christmas market before? This has to be one of the best travel articles I’ve ever read before. All the times I’ve been to Europe (at least two dozen, mainly to Portugal) and always during summer. Never even heard of such markets!! Sharing with my family immediately. The airfare is cheaper too. I did one of bucket lists last year and did the markets. London, Paris Prague and Munich. Prague was by far my favorite. They’re just an incredible tradition. I do plan on going back next year for Cologne and Nuremberg. I heard the Christmas markets of Switzerland were beautiful too, has anyone been there are Christmas time? Never once heard of a Christmas market? Ever? Really? Buy yes, overall, Germany does some of the best Christmas markets. I visited the Christmas market in Ljubljana last year and really enjoyed it. Great city as well. If you are looking for a hotel recommendation, the Intercontinental Ljubljana was absolutely amazing! I visited the Christmas market in Vienna in December 2016. It was freaking cold! And I thought I was used to cold weather as I live in NYC. So I glad it was warm in my gorgeous suite a Park Hyatt Vienna. I highly recommend Heidelberg, Germany for a „Weihnachtsmarkt“ visit. About 80 km south of Frankfurt FRA, connected by high speed train to Mannheim & regional train to Heidelberg. Or by bus / cab. Do note that some christmas markets in Germany run until New Years, but most of them stop on 23rd December. What are the Christmas markets like in the Mediterranean countries? Germany and it’s bordering neighbours being the first countries that springs to mind when think if this, followed by Scandinavia, Iceland, Finland, the Balkans and Eastern Europe (and maybe the UK and RoI). The article title is “Tips For Experiencing European Christmas Markets”, so are you encapsulating all of Europe within this or just the outsiders collective disgard that there is variety within the continent? Aren’t they only really in Northern, Eastern and Central Europe where there is more likely to be snow (it adds to the ambiance). What about Western and Southern European countries? There seems to be a growth of these in the UK and when combined with the right historic locations can be an ideal break. I recommend Knaresborough (small but in a wonderful, beautiful town), Harrogate and York all of which are accessible from LBA. We went to Christmas markets in Innsbruck and Vienna. Something we noticed, that if you want to buy things (souvenirs, etc), you will save a lot by buying in the smaller cities’ markets. Pretty much everything we saw was about a third more in Vienna than it was in Innsbruck. For those who think they might enjoy the markets but do not drink alcohol, there are plenty of non-alcoholic hot beverages as well. Oh, and one more, have the raclette! 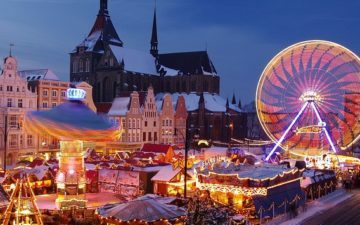 Christmas markets is a tradition that is historically specific to the German speaking countries and their neighbours but has seen a diffusion to many other countries both within and outside of Europe. As a European, I am not aware of christmas markets in southern Europe, at least not in that these countries have developed a “German/Central European” style market (maybe except for South Tyrol in the northern, alpine region of Italy. And you rightly ask what we may understand as “European” in James’ post. When reading a blog such like this, I by default assume that the label “European” is applied liberally to all of the geographic region of Eurasia. Otherwise, one must always state that Europe is understood in a political (but by what measure? Schengen? Council of Europe? Euro-Zone?) or cultural or historical or geographic context….a rather time consuming and very salient topic indeed. COPENHAGEN! My absolute favourite Christmas markets. But also, I lived in Copenhagen for 8 years so I’m biased. If you haven’t had Gløgg during the Christmas season, you haven’t lived. In North America Quebec City has a small but very nice Christmas market. It’s plenty cold, and usually some snow. I’ve been twice right after US Thanksgiving. There is a Marriott just outside the Saint Jean gate of the Old City, ask for a room that looks at the gate. It’s absolute beautiful. It’s VERY French, in a good way, and feels like you’re in Europe. The very last photo in your article is from Zagreb, Croatia during Xmas market. I can’t recommend enough visiting Zagreb that time of the year as downtown transforms into a fairytale and it looks exactly as on the pic (huge iceskate ring around fountain in the middle). The whole downtown is one huge Xmas market, prices are very affordable and locals enjoy being out even though it’s the coldest time of the year. And events lasts long into the night, often well past midnight. Strongly recommendend! Been at least 3-4 times and love the atmosphere. Combine it with regular sightseeing. Cologne is almost too big. Enjoyed heidelberg, vienna, rothenburg, etc. And when it snows it is just magical. Once in Rothenburg we got about 8” of snow. What? No mention of Krakow?! The rynek is magical! And it’s very easy to get there with multiple flights from many UK cities amongst other places. it’s worth mentioning that the ‘Christmas market’, originated in Germany. Germany have the best Christmas markets anywhere in the world. Also, worth mentioning, that there are several themed markets, for instance; you would find in the city of Siegburg a medieval themed market including all the retailers dressed up in in medieval costumes. Schloss Guteneck Christmas Market & Ravenna Gorge Christmas Market are all very Unique. Don’t forget also; München, Jena, Regensburg, Erfurt & Konstanz. Been visiting Christmas markets past 8 years. Have made it an annual destination. In a few of the markets, they have karaoke at night. Love to go for the food, drink and ambience. I’ve experienced the markets in Munich and Salzburg. Both were so lovely. My wife and I had a great 10-day Christmas trip to Berlin, Dresden, and Prague two years ago. An absolutely remarkable way to spend the holidays. We especially liked the medieval themed market in Dresden, as it was quite different from all the other markets. We found that the Prague markets generally weren’t as good as those in Germany, with the exception of the mini petting zoos. I went to the ones in Berlin and hamburg 2 xmas ago. It was beautiful and a lot of fun. The flight deals and hotel rates were fantastic. 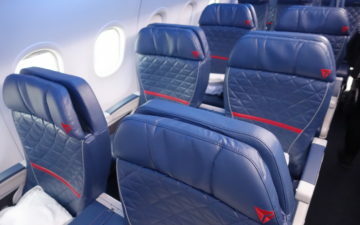 I flew delta one from California to Berlin via Amsterdam for 89k round trip. it was very cold. But really if you just go to two of the bigger markets the rest will feel the same. If you go around Thanksgiving that’s when some of them start and it won’t be a cold. I like being in Europe during Thanksgiving. Fewer obnoxious American tourists. It’s just an expensive market with Christmas decorations hanging up! Christmas is already materialistic enough in my book anyway. @Callum, I must disagree. Most of the Christmas markets that we went to seemed to me to be more about getting together with friends and family and a Joyous atmosphere than about selling things. 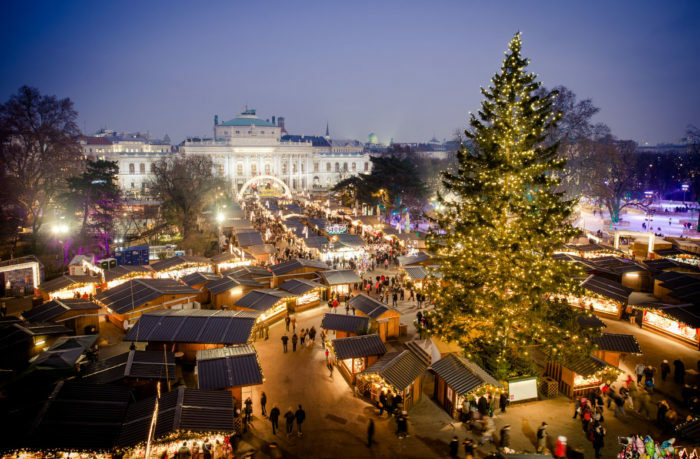 While the largest of the markets in Vienna were clearly very commercial enterprises and mostly for tourists, the smaller markets seem to be frequented more by locals and more about enjoying the season. In Innsbruck, from snippets of overheard conversation, we may have been the only non-German speaking people there. For a completely different, southern European style Christmas market: the Nativity scenes on Via San Gregorio Armeno in Naples. Bath UK has one of the best Christmas markets in a superb setting in the World Heritage City. Go for a swim in the heated thermal spa baths …..open air and overlooking the beautiful City. 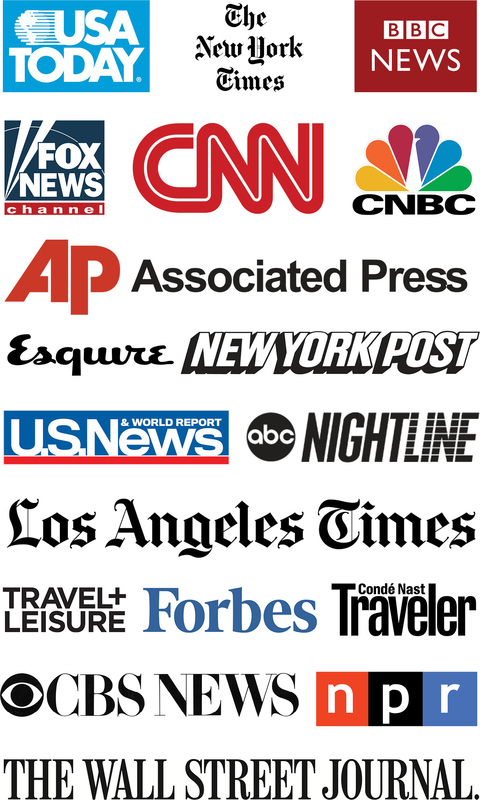 farnorthtrader – The primary purpose is to sell stuff. Creating a nice atmosphere that makes people want to come as groups doesn’t really change that! York is incredible for it, Ljubljana is amazing and Zagreb was nice but so crowded. This year were doing Prague and Budapest. If you are in Gemany for Christmas Markets and you go to the one in Dresden you should also go to the one in Meissen – 45 minutes by the S1 train. Small and usually not extremely crowded like the others. Meissen is also nice to look around in and go to the Meissen porcelain factory. It is where they make a lot of the wooden toys. It’s wooden toy shops and a few bars (and restaurants) rather than temporary stalls, but nearly every house in the town has lights in the windows – the most magical Christmas atmosphere I have experienced. One wants to be earlier than elsewhere: see the museum of wooden toys during daylight; shops start closing from 5pm, but some are open until 8pm. German and Austrian markets are the best ones I’ve been to. The Scandinavian ones less so, but then they have a much higher chance of snow. The Belgian and UK ones don’t have the same atmosphere and seem more commercial rather than community based – yeah I know they are all commercial, but the good ones you can tell people are catching up with friends rather than shopping. Was back in Australia for Christmas last year after being in Europe for the previous seven and was disappointed – warm, bright sunshine until late evening, and cold beer instead of Gluhwien made it feel wrong – despite having 40 years of that experience before moving to Europe. It may have also been the lack of enthusiasm of my in-laws getting together, rather than spending it with friends that contributed to the disappointment. Will be going to Prague this year for the week between Christmas and New Year, so looking forward to getting back into the European experience. I am somewhat biased, but for me it is the market in the town I was born. Unfortunately the wonderfull small market in the garden of the castle isn’t open anymore because of bats that ought to be safed. But here is a link, together with some nice photo-shots. Once you had your fill of Gluhwien and all Chrismas markets are done in Jaunary… swing by IceWine festival for some more cold (and yes, bitter cold of at least -15C) and very, very sweet wine. Minus the tchotchkas from China factories – this is exclusively wine+food affair. Plus, you get to chose how much time you spend outside vs. warm wine cellar next to pig on the roast. On my most recent Europe trip last December, my wife and I ended up going to five Christmas markets – Copenhagen, Helsinki, Tallinn, and two small markets in Riga. I can only imagine what the German or Austrian markets must have been like, because even the ones we went to that far north were impressive. Your article couldnt have come in handier. Last year I discovered European Christmasmarkets were a “thing” and now I really wanna visit the Vienna one and one city in Germany. If you could recommend one city for the markets in Deutschland, for a first timer, which would it be? If you’ve seen one Xmas market you’ve seen them all. However I do go to them occasionally.